If you have been injured by a defective medical device or if your device has been recalled, you may be entitled to file a product liability claim for damages. With over 100 years combined experience in product liability and medical malpractice cases, the lawyers of Breakstone, White & Gluck have the experience and expertise to evaluate your claim and help you obtain the compensation you deserve for your pain and suffering. We represented some of the first victims to receive compensation and corrective surgeries following the DePuy ASR hip implant recall in 2010. Today, we remain committed to obtaining the full compensation every client needs to recover when a medical device fails. Our lawyers represent patients in Massachusetts, New Hampshire, Rhode Island and across New England in medical device claims. For a free legal consultation, contact us today at 800-379-1244 or 617-723-7676 or use our contact form. What May Prompt A Medical Device Recall? Medical devices can be recalled for defective design, manufacturing error or if the manufacturer failed to warn the consumer about possible harm. Manufacturers have a responsibility to perform full product testing before distribution to ensure safety. Who Regulates Medical Devices and the Medical Device Recall Process? The Food and Drug Administration (FDA) regulates medical devices under the Federal Food & Drug Cosmetic Act. The FDA is responsible for approving new medical devices and works with companies on recalls. But individual manufacturers typically conduct medical device recalls on a voluntary basis, after a defect has been brought to light. The FDA has been criticized for its 510(K) Premarket Notification clearance process after recent medical device recalls. Under this process, manufacturers can fast-track the approval process if they are submitting a product which is substantially equivalent to another product already on the market. Many of the medical devices recalled in recent years were approved under the 510(K) process. How Will I Be Notified About a Medical Device Recall? If you are affected, you should be notified by the manufacturer or your surgeon. You can also search the FDA website for medical device recalls or safety notifications. It is important to contact an attorney who is experienced in medical device recalls. An attorney can explain your rights and how much time you have to file a claim. The FDA will typically classify a medical device recall as a Class I, II or III recall. A Class I recall is the most urgent and means there is "reasonable probability" that use of the product will lead to serious adverse health consequences or death. The manufacturer may propose a "correction" or a "removal" of the defected medical device. 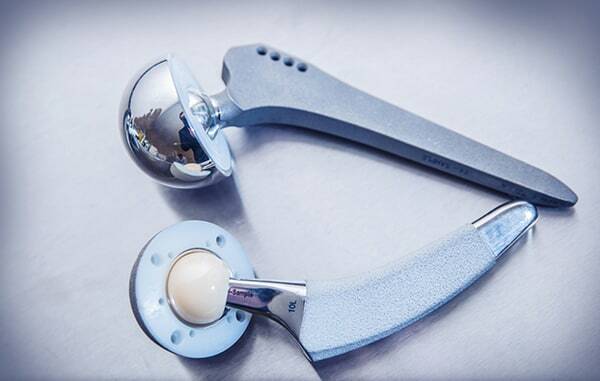 Often, a medical device has to be surgically removed. There is no reasonable alternative. But there are cases when a manufacturer may get approval to correct the defect and they may be able to repair, adjust, relabel a product or commit to additional patient monitoring. As a patient, you want to learn what these options mean for you, your family and your health. For instance, if you have to have another surgery, you may not be able to work for a period of time and suffer lost wages. Then there may be outpatient rehabilitation treatment, which means additional time away from your family and work responsibilities. You trusted the manufacturer of your medical device. Now that it has failed, make sure you have an attorney with proven experience in medical device claims to protect your best interests and help you return to health. If you have been injured by a defective medical device, learn your rights for seeking compensation. For a free legal consultation, contact our attorneys at 800-379-1244 or 617-723-7676 or use our contact form.